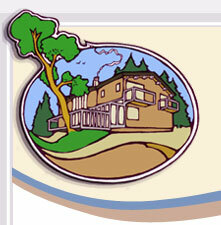 Saturna Island travel information ~ Lyall Harbour Bed & Breakfast, Saturna Island, British Columbia, Canada, A quality gulf island accommodation. BC Ferries operates a regular scheduled ferry service to Saturna Island from Tsawwassen on the the Mainland and Swartz Bay on Vancouver Island. Vehicle reservations are recommended between Tsawwassen and Saturna. 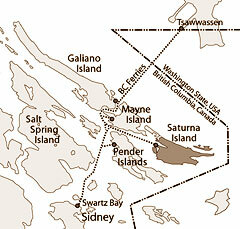 Saturna is also accessible by chartered and scheduled float plane service and by water taxi. Private boats can tie up at the Government Wharf next to the BC Ferries Dock at Lyall Harbour.